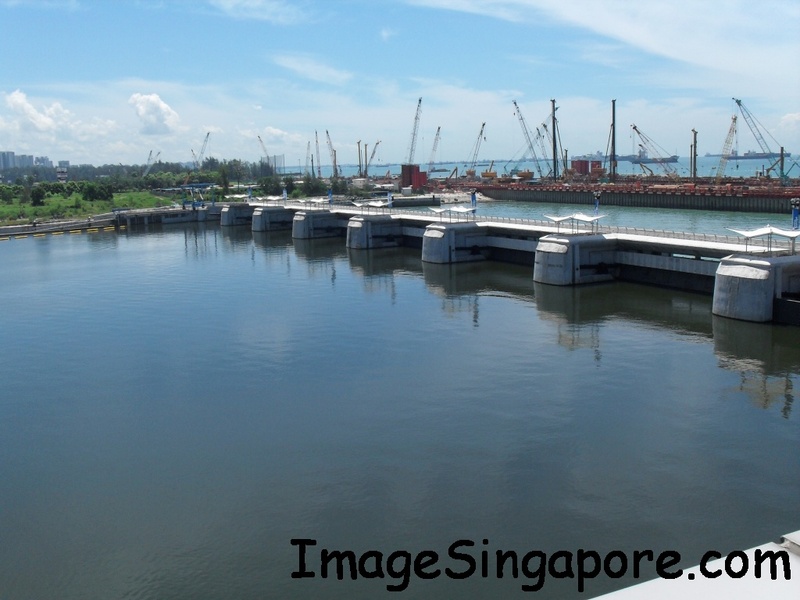 Seeing that it was a bright and sunny morning, I have decided to visit the Marina Barrage near Marina Bay. 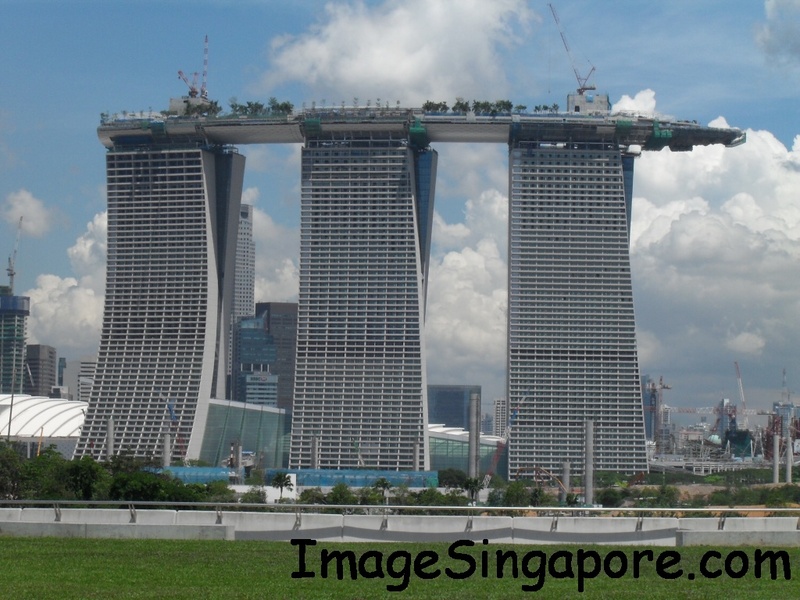 The Marina Barrage is the newest and latest Singapore icon which was officially opened in 2008. I understand that the Marina Barrage even won an international award and after visiting this place, I feel that it truly deserved an award. Some people say that it is just a dam. Yes it is a dam, a water catchment built in the heart of a city which encompass functionality, beautiful space and design. I took a MRT ride to the Marina Bay station. After getting out of this MRT Station, I saw that the area surrounding this MRT is still under construction. There were barriers and noise everywhere. I could not locate the bus shelter that I was supposed to wait to catch the free shuttle bus service to the Marina Barrage. Feeling lost, I saw a construction worker and asked for direction. I was instructed by this worker to walk straight and turn right and I should be able to see the bus shelter. I followed his instruction, the walk in fact took less that 3 minutes and I saw the bus shelter. It was a totally run down and worn out bus shelter with no seats. There was no billboard or signage to indicate that this was the waiting area for the bus service to Marina Barrage. Certainly the Land Transport Authority can do better here. I mean this bus shelter is totally run down without any signage and seats. I am sure that the authority can built and provide a proper bus shelter. The bus ride to Marina Barrage was comfortable. It was a smooth ride in an air conditioned bus. It took less than 10 minutes to reach the Marina Barrage. 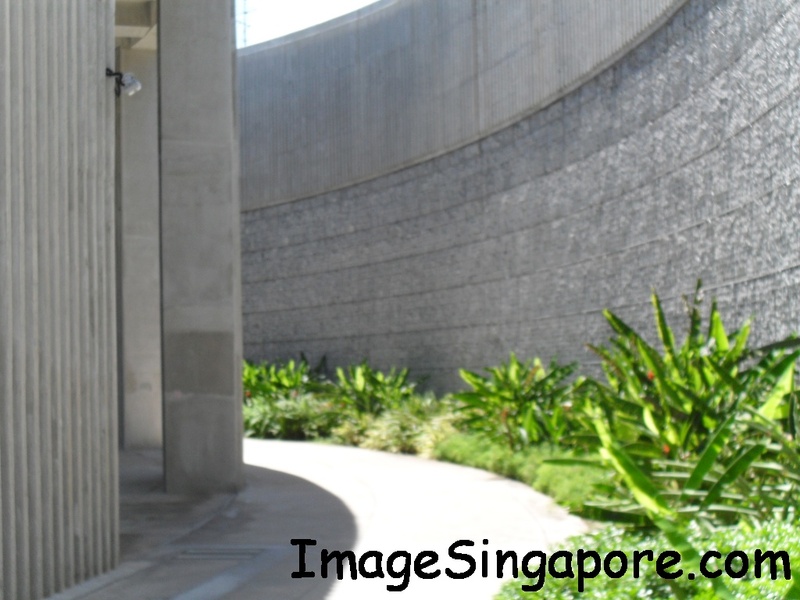 The first thing that greets you when you arrived is a huge signage – Welcome to Marina Barrage. You can’t missed it because it hangs on a very high wall. I was looking at the high wall and its surrounding – looking for an entrance gate but there wasn’t any. As I walked along the narrow path, enjoying the stroll with very high walls surrounding me on my left and right. It felt just like entering a maze. Thereafter as I proceed further, I could see wide open space in front of me. I saw a huge pool of water with water fountains occupying the spacious landscape and also curved walkaways that looks like a bridge that leads to the top. It was a hot sunny day, and there was very little shelter where you could take cover under the hot sun. So the best thing to do is to bear with it or use an umbrella. I choose to bear with it. Walking on the curve sloping bridge will lead you to a bigger open space on top. Once I reached the top, it was a spectacular view of the Marine Barrage, the City and the sea. It was really beautiful and the wide open space really lifted my spirit. As I continued to walk on the wide open garden, I could see families having picnic on the grass field and lots of people taking photos of this beautiful dam. There was a solar park as well as I proceed to walk further. I intend to visit this place again but this time it will be during the night. I think the view of the city will be beautiful during the night. By the way, there are a number of restaurants in this Marina Barrage, so there is no problem if you are hungry. Personally, I think it would be advisable to bring your own mineral water. In my case, I brought a bottle of mineral water and also a bottle of coke, knowing that it was a hot sunny day.